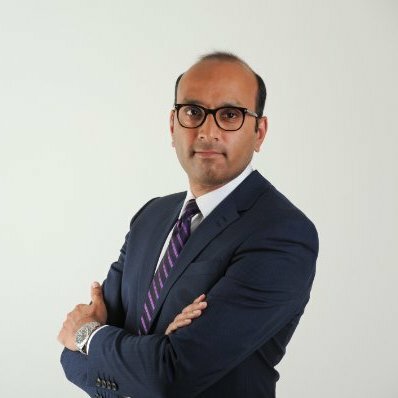 Sameer is a qualified surgeon with an intercalated BSc in the History of Medicine. He has advised for the Department of Health and is now working as Medical Director at Johnson and Johnson Medical Devices (JJMD). Sameer also mentors young entrepreneurs as part of the NHS Clinical Entrepreneurship programme. I interviewed Sameer at the Financial Times Digital Health Summit, Europe. Sameer was at the conference to discuss CareAdvantage, a new approach to partnership that has JJMD work collaboratively with hospitals and providers to help them improve patient experiences and outcomes, while reducing costs – with digital tools being an important component. Can you start by telling a bit more about your background? I always knew I wasn’t going to undergo a traditional medical career, although I did enjoy working as a doctor more than I thought I would. Arguably, the healthcare industry is the interface between medicine, science and business, and in this sense, J&J ticked all my boxes. In 2009/2010, you were involved in the development of smartphone apps and platforms for health companies, and you are currently a mentor for the NHS Clinical Entrepreneurship programme, how do you envisage health technology changing the way healthcare is delivered? We are talking here today about digital health and how it has huge potential to transform things. The definition of digital health is broadly, ‘anything intended to improve health that is underpinned by data analysis or interconnectivity’. With more data from devices and more patients connected, the increased amount of data will inevitably lead to earlier interventions. This data is real world patient data rather than from clinical trials, the previous and current norm. With more data and more sophisticated analytical power, we can mine data to look for trends that we wouldn’t otherwise see. This will lead to improved diagnostics and treatments that are more personalised. Today we are using technology to continuously monitor the efficacy of medical devices that have been implanted into patients. In many cases this is something that has only recently become possible. The question now is what technology will evolve to help us deliver on the promise of improved efficiencies and outcomes – the most commonly used “buzzwords” of the day. You worked on a smartphone app for Psoriasis in 2009/2010, before apps were commonplace. How does JJMD continue to stay ahead of trends and innovate? We are moving away from being a maker of products – namely medical devices and surgical instruments – and moving towards considering the bigger picture and how else we may improve patient outcomes and experience while reducing costs. We understand our customers need support that is tailored to their specific needs – how we can optimally train their clinicians for example, and whether we need to develop new tech to do this and so on. Are there any opportunities for startups to partner with J&J? J&J has a great track record of this. We try and understand healthcare trends and then assess where clinical needs are and who we need to partner with to meet these needs. We have an innovation centre in London, which seeks out new developments. My colleagues and I also attend many conferences in order to explain our company direction. This may help startups consider whether they align with our goals. You are mentor of NHS clinical entrepreneur programme, can you tell us a bit more about your role here and what it has involved? The clinical entrepreneur programme is a relatively new programme which was set up one year ago. It is for doctors and allied health professionals in the NHS who have an entrepreneurial idea or project that they would like to develop further. Doctors from all specialities with all kinds of ideas can apply to be part of the programme which provides courses and talks, as well as a mentor. The mentors are based on the kind of specialism and project. I currently have two mentees: a surgeon with number of different ideas to make theatre more efficient and another with an idea related to the digital health space. You do not describe yourself as an entrepreneur, but with your commercial insight, what advice do you give to your entrepreneurs? I ask challenging questions. Why this way? Have you thought about this? I try to help them to understand how business and regulation works. Technological innovation is not so dissimilar to our business in terms of assessing ideas and deciding which to progress and which to leave. I don’t tend to give advice but I can provide a framework. Why this way? Have you thought about this? I try to help them to understand how business and regulation works. Meets a major clinical unmet need. Provides something the market that will embrace. This is arguably subjective but includes thinking about who the market is and how you may commercialise the idea. Are there any UK startups that you are particularly excited by? There are a number of interesting initiatives resulting from startups, and with the talent seen in the clinical entrepreneur programme, I look forward to seeing the teams achieving great things in this space.